Here it is, the day you have been waiting for! You have graduated your course! You’re excited, ambitious… absolutely unstoppable! Your hard work has paid off. Diploma in hand, you jump with joy grinning ear to ear. Wow! A Nail Tech! So… Now What??? You get to thinking, Do I want to apply in a salon? Maybe I should rent space in an established nail salon? There are so many questions starting out. If you have taken your course through Mirage Spa Education, you’re off to a great start! With so many things to think about, finding out you paid top dollar for your course and are not fully qualified by a registered school is not one of them. 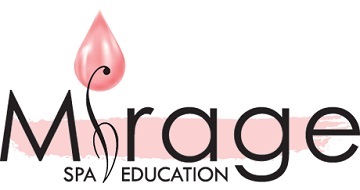 Mirage Spa Education is a registered trade school with PCTIA and has an excellent track record of producing long standing career orientated graduates providing a high standard of services and devotion to their field of work. Now that being said, I have compiled my own advice and experiences in addition to some of the better articles and tidbits I have come across to save you time and hopefully answer some questions you may be asking yourselves. First of all, get yourself orientated. Spend some time developing a business plan and decide what avenue you would like to go. A strong plan goes a long way at this stage in the game especially if it is business ownership that you seek. Here are a few short articles that may help. Pick a logo, a mission statement, get business cards made and get out there! Email and call friends and family, tell them what you are doing and let them know how to find you. It’s not a favor, you are a skilled professional offering your services. Use your vehicle to advertise, get magnetic or vinyl business prints made and use your vehicle to advertise your services on the go. Your own nails are your greatest chance at personal engagement. Make sure when you go out your nails are fabulous! When people ask, have your card ready. Leave your cards everywhere! Never leave the house without them and use every opportunity to introduce yourself, mention what you do and offer your card. An attractive, well designed website is also invaluable. Make yours stand out for all the right reasons. When people come across or search your site be sure they know they are in the hands of a professional who is both knowledgeable and offers the little extras they desire. For example, loyalty programs, maybe senior discounts, a bi monthly or monthly product special, offer your knowledge on the products you use, have a gallery they can view, post current trends etc. Draw prospective clients to your site via social media, emails, blogs, web casts etc. The more people that go to your site the more opportunity you have to make an impression. Offer retail if you can and know your products! It can take you from getting by to the top of your game. Retail makes up a large percentage of salon revenue. Here are some very helpful articles. Charge what you deserve. I simply cannot stress this enough! Everyone is up for a deal but misjudging your costs or not making ends meet due to a family and friends free for all will not do you any favours in the long run. I found this on another blog and could not have said it better myself. Your clients are your livelihood. Remember this and take good care of them. Things like offering coffee, tea, even water, perhaps a candy dish or small token of appreciation for choosing you as their nail tech… maybe an added nail art service or paraffin dip on their birthday? Something along those lines can make you stand out and keep your clientele coming back for more, it may even be the added touch that gains the attention of their friends on their next visit to your salon. I would also like to reiterate that your relationship with Mirage Spa Education does not end on the day of your graduation. We are here to support you and help you along in your new business endeavours while you build both, confidence in the industry and your client base. If there comes a time you decide to expand your knowledge and services, we are pleased to offer discounts on future courses to our graduates. In addition to this, our affiliate and official supplier, Nail Tech Store offers you 25% off while you are a Mirage Spa Education student and a continual 10% discount on select items upon graduation. This is our way of thanking you for your continued support. Your friends at Mirage Spa Education and Nail Tech Store.